When the winter weather gets harsh, you want a fresh way to liven up your household. 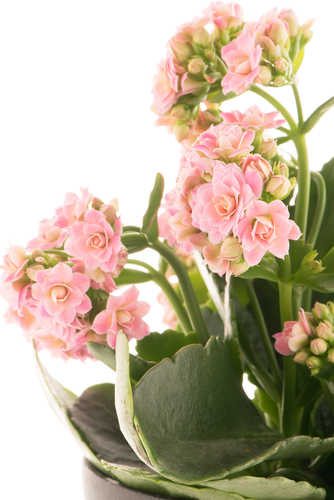 Indoor plants do just that, adding color and beauty to the year’s darkest months. If you’re on the hunt for decorative plants this season, Plymouth, MN’s Dundee Nursery & Landscaping will help you pick out the perfect piece. From bright, bold blooms to vibrant, flowing trees, the area’s premier garden store offers it all. Below, they share their favorite indoor plants this season. The Ficus Lyrata is also known as the fiddle-life fig, one of the most popular indoor plants on the market. A tropical native, the large, heavily veined leaves grow upright and strong. The Ficus Lyrata takes up ample space, making it the perfect conversation piece. One of the easiest plants to grow, these leafy beauties reach up to 10 feet. They grow longer in the jungle, however, so don’t be alarmed if yours continues to sprout! Even without much water or sunlight, these plants stay strong, making them ideal for homes of all growing conditions. The yellow-green heart-shaped leaves are also known to purify air. Sansevierias are difficult to find, but strong, durable, and easy to care for. While they might not be soft or full of flowers, they don’t require significant lighting or air conditions to grow properly, making these exotic beauties easy to situate in any room. Their ornamental appeal takes you back to the tropics, with large, fanning leaves reminiscent of palm trees. They’ll spread up to six feet high, even in low light and humidity. The only maintenance required is periodic watering. 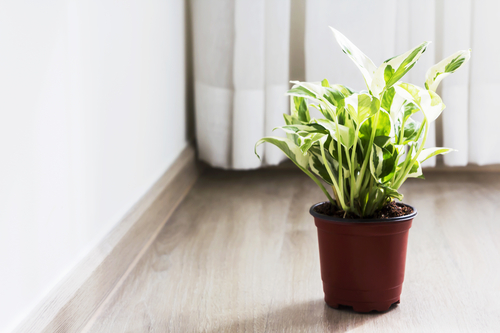 These indoor plants boast majestic, white blooms. Peace lilies are also excellent at breaking down dangerous gases, such as carbon monoxide. Not only will they add aesthetic value, but they could spare your air as well. Recognized for their colorful red, pink, orange, and yellow blooms, these low-maintenance plants don’t just survive, but thrive, in low humidity. They add a high-end touch to any household, offsetting bland winter whites. If you’re seeking new indoor plants this winter, come to Dundee Nursery & Landscaping. Whether you’re starting your first garden or are a seasoned professional, the skilled staff will help you choose the plants, flowers, and trees of your dreams, helping you create a lively indoor sanctuary. Visit the garden center online or on Facebook for more information. Call (763) 559-4004 to reach their Plymouth location, and dial (320) 587-4664 for Hutchinson, MN.